Pimples or acne can develop any body area, including the lip line. It appears as a white centered red bump and is formed due to the inflammation of clogged hair follicles. When the bacteria get gets inside it get infected. Popping or picking the pimple damages the skin. Infected pimple becomes red, swollen and may feel warm to touch. If you have a habit of squeezing or popping the pimples your skin will take a longer time to heal and may result into scaring. Do not worry we will guide you the right way to get rid of a pimple on lip line. A pimple on lip line is both painful and embarrassing. 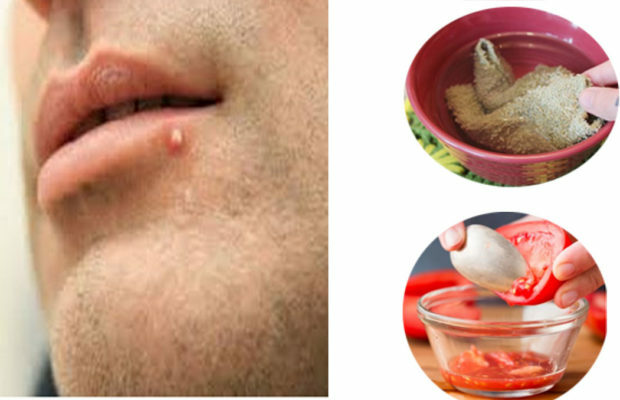 Home remedies to get rid of pimples on lip line may help but first let us acknowledge the cause. Pimples are formed due to clogging of hair follicles. The tiny hair follicles that are present on the lip line can also get clogged and infected due to the reasons such as an acne prone oily skin. Hormonal changes, an environmental pollutant, low-quality makeup product, expired lip care product, waxing and threading may also cause pimples on lip. Eating fried and fatty foods, poor hygiene, stress and smoking may also be a cause. 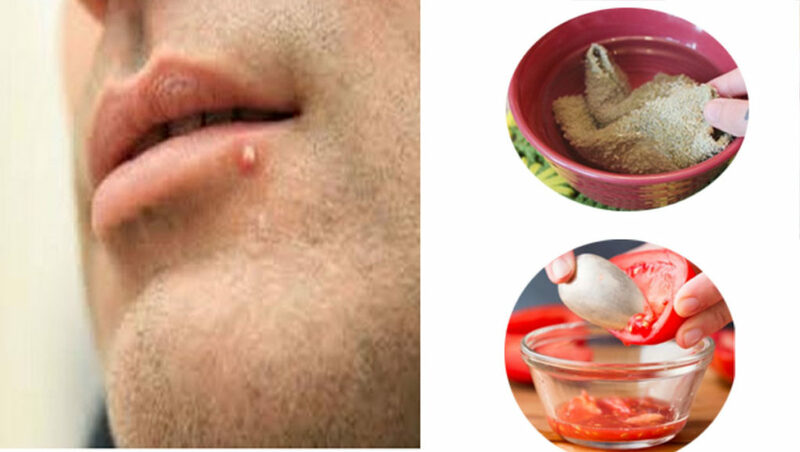 Although most of the cases are under your control to prevent pimples else to get rid of a pimple on lip line you may try home remedies discussed in this article below. Hot compress eases swelling and pain and increases the circulation blood to the affected site. 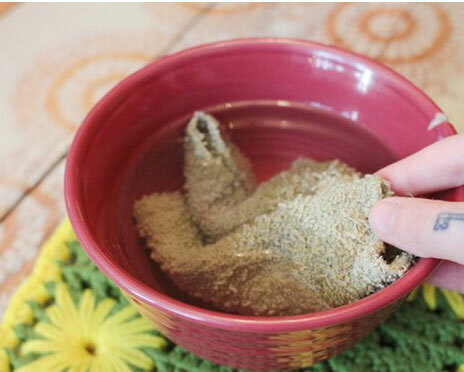 Soak a cotton ball or a cloth in hot water. Make sure the temperature is bearable, wring out the excess of water and place it on the pimple. Repeat this for a few minutes 3-4 times in a day. Honey is Antibacterial. It lowers the pH level and makes sit unsuitable for the microbe to survive. Also, it dry outs acne and pimples. Apply organic honey on a pimple on your lip line a few times in a day. Being acidic in nature apple cider vinegar makes the environment unsuitable for the bacteria. Apple cider vinegar is also anti-inflammatory and promotes healing. Mix apple cider vinegar and lukewarm water in equal amounts and with the help of a cotton ball apply on your lips. Repeat this 2 times in a day. 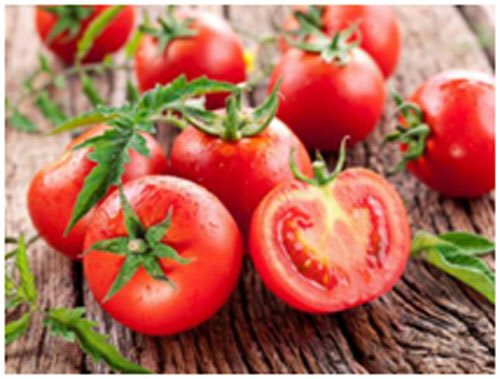 Tomato pulp is antimicrobial. It is rich in vitamin C and repairs damages skin cells. Extract tomato pulp and apply it to the affected part a few times in a day. The healing and antibacterial properties of turmeric makes it an ideal pimple solution. Add sufficient water to a half teaspoon turmeric powder to make a paste. 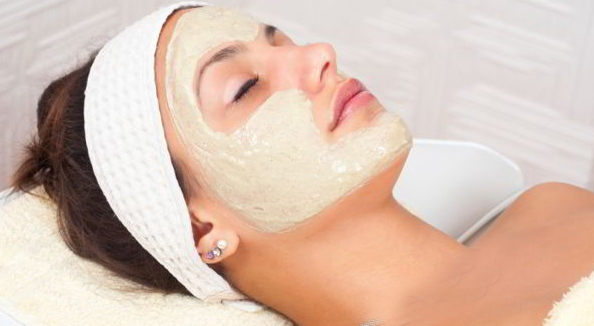 Apply the paste on the pimple and leave it for an hour and then rinse it off. Repeat this 2 times in a day. There are many creams and soaps available over the counter to treat pimples that are also useful to get rid of pimples on lip line. If you do not have much time to invest on home remedies try mild alcohol-free over the counter cleanser and creams that are gentle on your skin. Avoid exfoliating lip and astringents as they can dry out and may cause irritation. To prevent pimples on lip lines keep make sure to clean your skin two times a day. Use mild face wash or soap for this purpose. Apply mild creams and moisturizers. 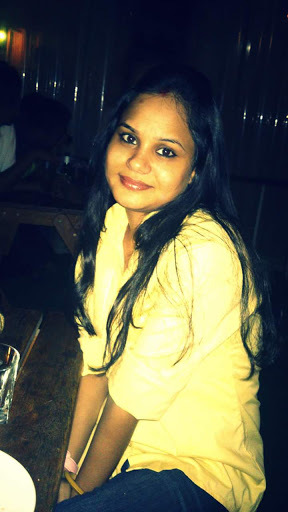 Avoid harsh irritant. Avoid expired cosmetics and makeup. Avoid scrubbing your lips. Before sleeping make sure to wash off your lipstick, Avoid touching yout lips too much. Avoid picking, popping and squeezing pimples on lip.